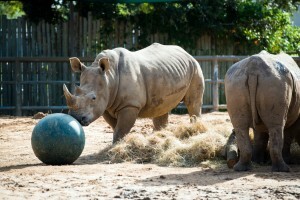 This weekend, the Houston Zoo is hosting two fun and engaging events, Enrichment Day and Spotlight on Species: Rhino. Enrichment happens every day at the Houston Zoo. Zookeepers work hard to provide a variety of enrichment for the 6,000 animals. But just what is enrichment? It’s creative stimulation to keep the animals’ minds and bodies healthy and to encourage natural behaviors. Things like toys, newspaper, novel food items, or scents are all types of enrichment. Enrichment Day is from 10 a.m. – 3 p.m. on Saturday, Sept. 19, where zoo guests can learn all about how zookeepers incorporate enrichment into the daily lives of Houston Zoo animals. Guests can travel the zoo along recommended tracks to see enrichment in action, like puzzle feeders for the bears or ice pops for gorillas. Some zoo animals even paint a picture! Enrichment Day activities are 10 a.m. – 3 p.m. This Saturday and Sunday is also Spotlight on Species: Rhino at the zoo. From 10 a.m. – 3 p.m. each day guests can spend time with the zoo’s rhino keepers to learn all about these amazing animals. Members and guests can also participate in rhino-themed crafts and games, touch educational biofacts and interact with the keepers during special Meet the Keeper Talks Presented by Phillips 66. 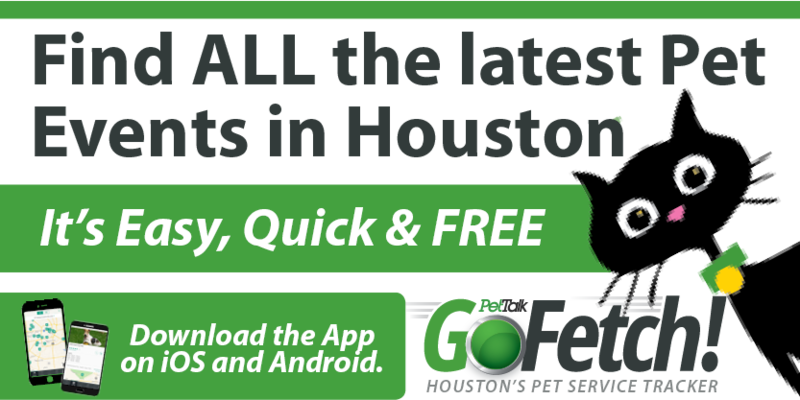 Both events are included in zoo admission, and free to Members.